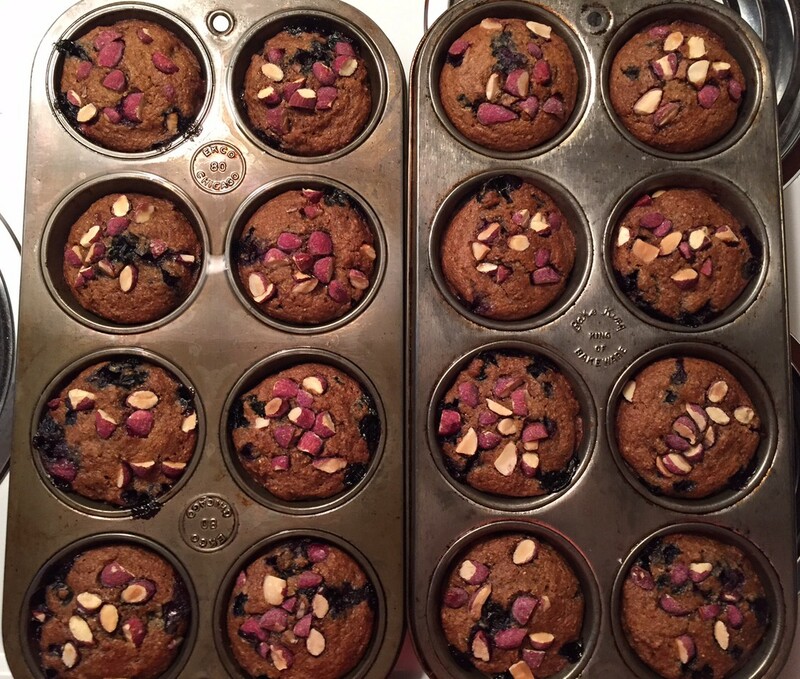 My great-grandmother passed down the BEST bran muffin recipe. 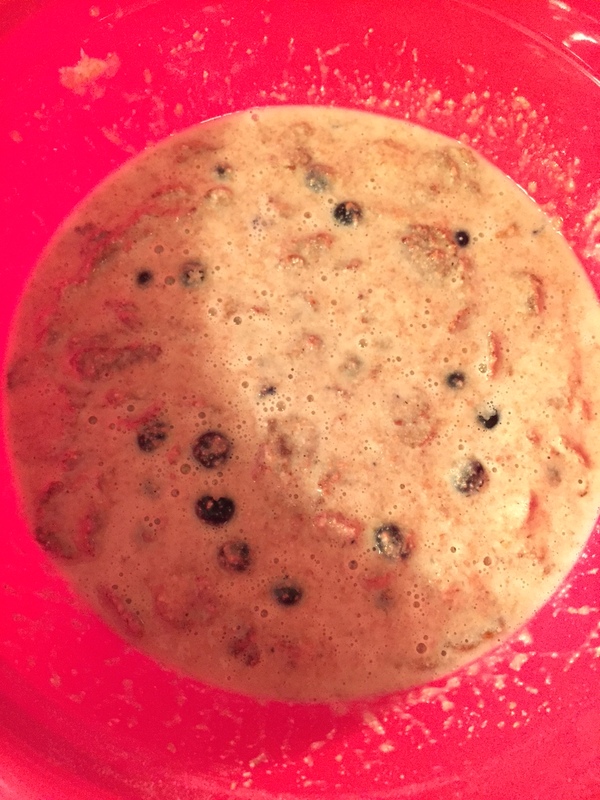 Moist and sweet with lots of yummy raisins…so delicious. My mom has now taken the responsibility of making these muffins and they are phenomenal; every time I visit her she gives me a bunch to take home. However, I decided to challenge myself to make them a little healthier, since they are traditionally made with lots of sugar and sour cream. 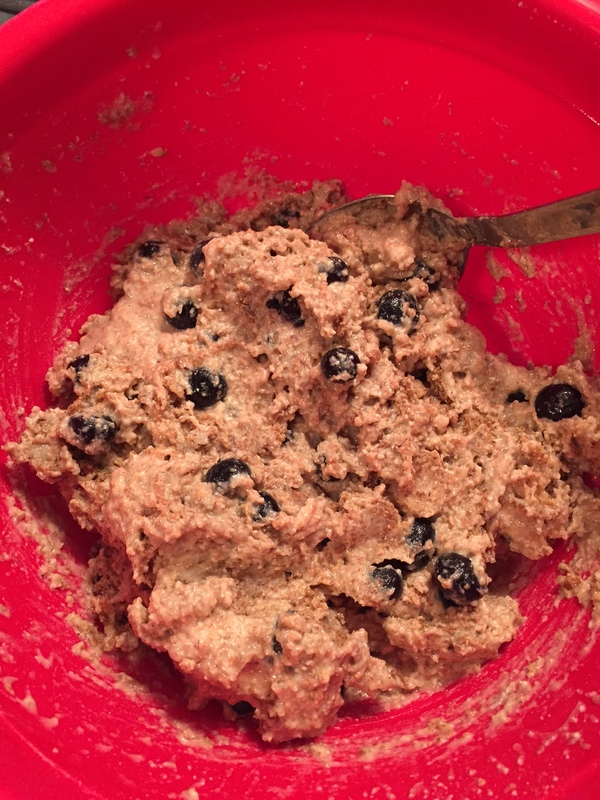 So I substituted honey, whole-wheat flour, coconut oil, and plain Greek yogurt. 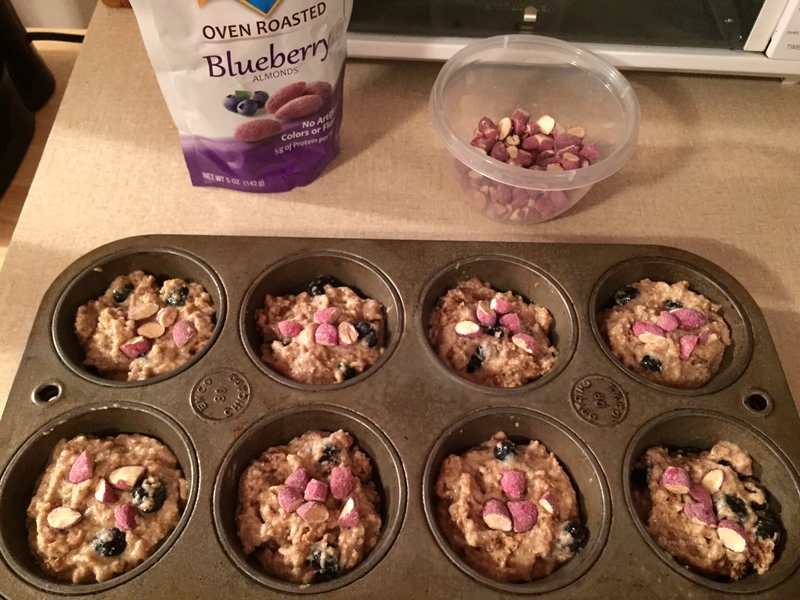 I also used fresh blueberries because they are delicious and gooey when baked. 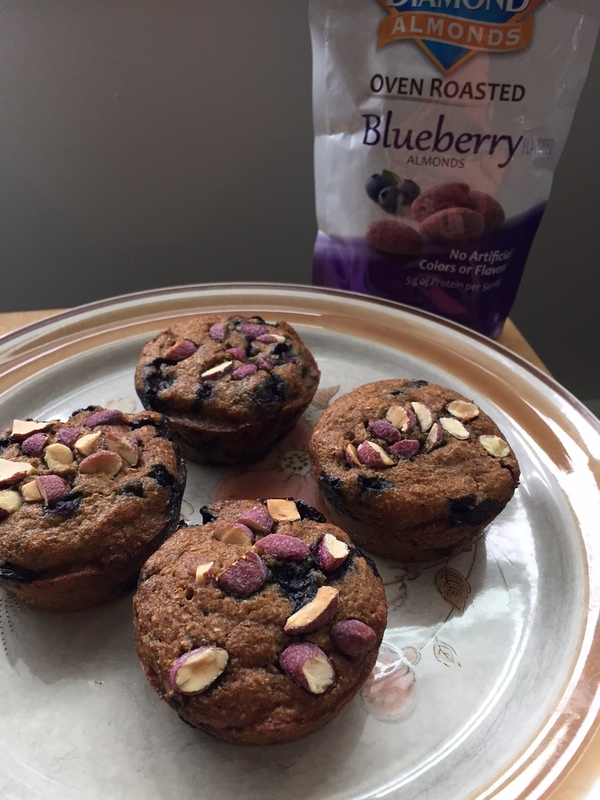 I also decided to add Blue Diamond Blueberry almonds to the top of the muffins for an added crunch and extra flavor. 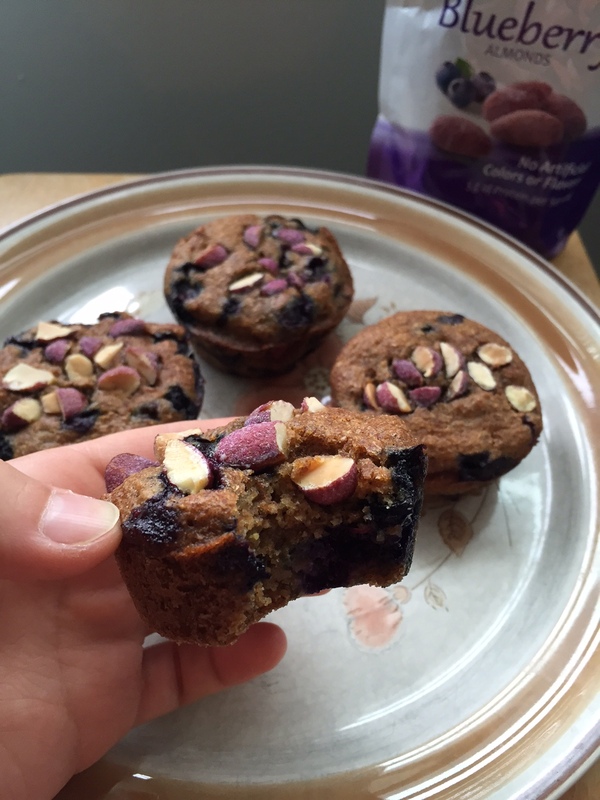 While not exactly the same as my great-grandmother’s, these muffins are pretty darn delicious in their own right. 1.) 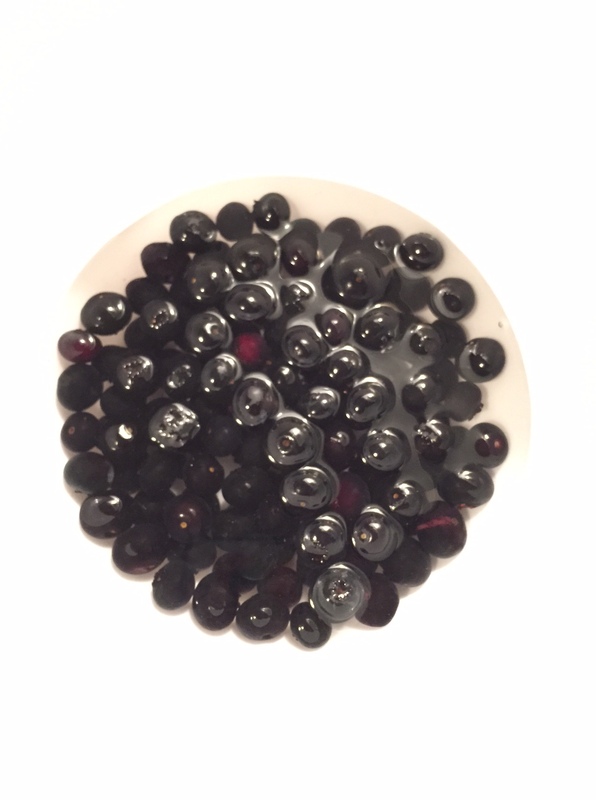 Add boiling water to blueberries in a small bowl and set aside. Beat 1 egg in a medium sized mixing bowl and add honey, coconut oil, milk, and yogurt. Whisk together. 3.) When ready to bake, preheat oven to 400 F. Chop almonds into small pieces. 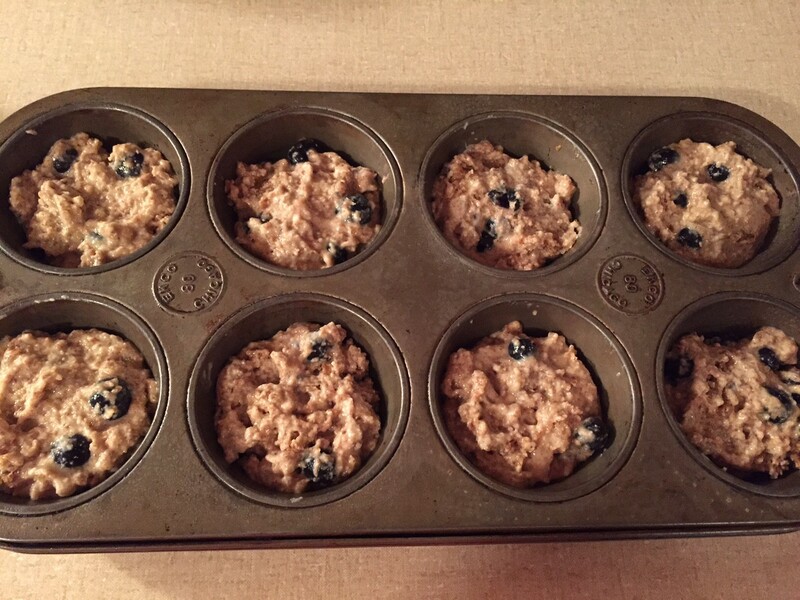 Pour batter into greased muffin tin – I filled the wells about 3/4 of the way; fill to the top if you want bigger muffins. Top with chopped almonds and bake for 20 minutes. Let cool and enjoy! 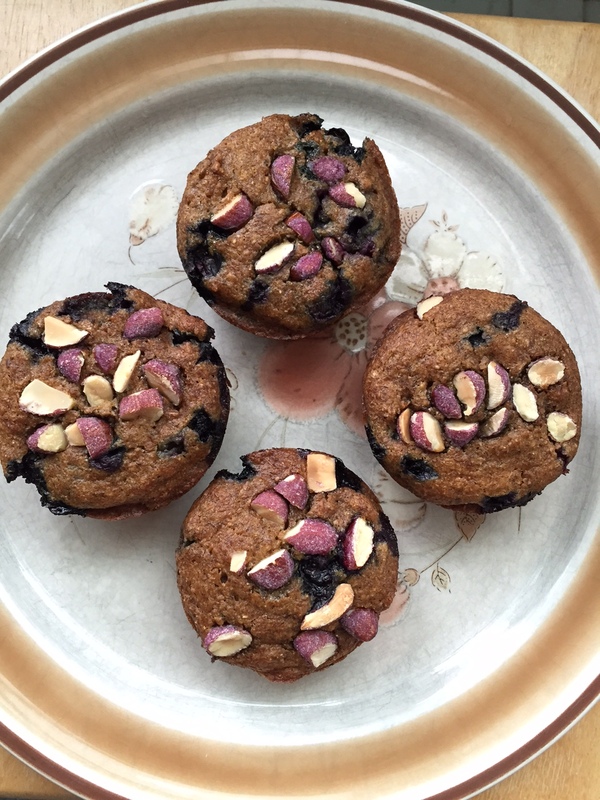 Hi Lisa, Thanks for making Great Noni’s muffins healthy and still delicious. Dad and I ate them this morning with a nice cup of coffee. Not sure what the calories were with the original recipe, but I am sure it was high.